Is a Compton-scattering-type polarimeter sensitive in the energy range from 40 keV to 200 keV and is constructed in a modular fashion with an array of "unit counters". The unit counter consists of 36 (6x6) pieces of plastic scintillator surrounded by 28 pieces of CsI(Tl) scintillator. These 64 pieces of the scintillator are read out by one multianode photomultiplier (MAPMT) with 64 channels. As incident hard X ray enters into one of the plastic scintillators, Compton scattering occurs and then the scattered hard X ray are absorbed by one of the surrounding CsI(Tl) scintillators. Since these scintillators are segmented, the 2-dimensional scattering direction can be measured and hence the information on the polarization of the incident hard X rays can be obtained. The instrument's field of view is constrained to 4.8 degrees (FWHM) by a collimator made of molybdenum (1 mm thickness). The side of the unit counter is covered by graded passive shields made of Pb (2mm thickness) and Sn (1mm thickness). 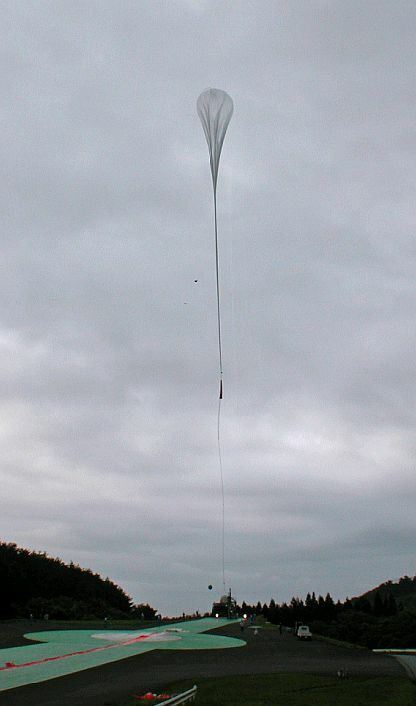 The first balloon-borne flight model of PHENEX, was constructed in 2006 with four unit counters to observe the Crab Nebula. 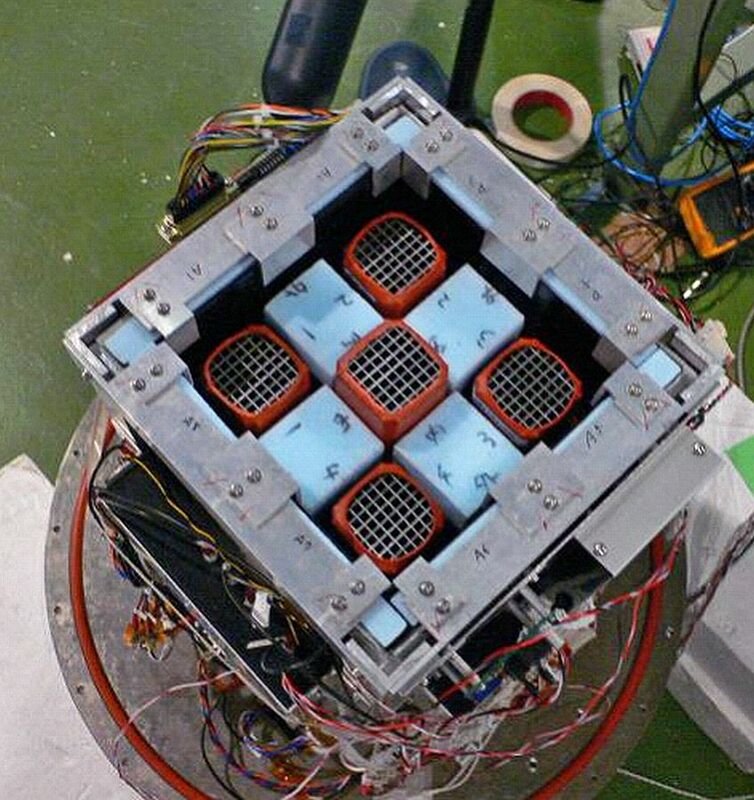 In the center of the four symmetrically arranged unit counters, a fifth counter with CsI(Tl) scintillator (34x34x10 mm3) is installed to monitor the flux from the Crab Nebula and then is called "monitor counter". The monitor counter has the same collimator as that of the unit counters and is co-aligned with them. It can be also used to confirm the correct function of attitude control system. The monitor counter and the four unit counters are all installed inside CsI(Tl) active shields and the whole assembly is housed in a pressure vessel and can rotate along the line of sight. This rotation is necessary to permit removal of systematic effects such as spurious modulation due to individual differences in the scintillators. Initiated by a trigger signal from any of the four unit detectors or the monitor counter, the signals of all 266 channels (64x4 channels), the monitor counter (1 channel), and active shields (9 channels) are all digitized by the front-end circuits. The information is processed by the data acquisition system and saved in an USB memory, along with timing information coming from the onboard GPS system. 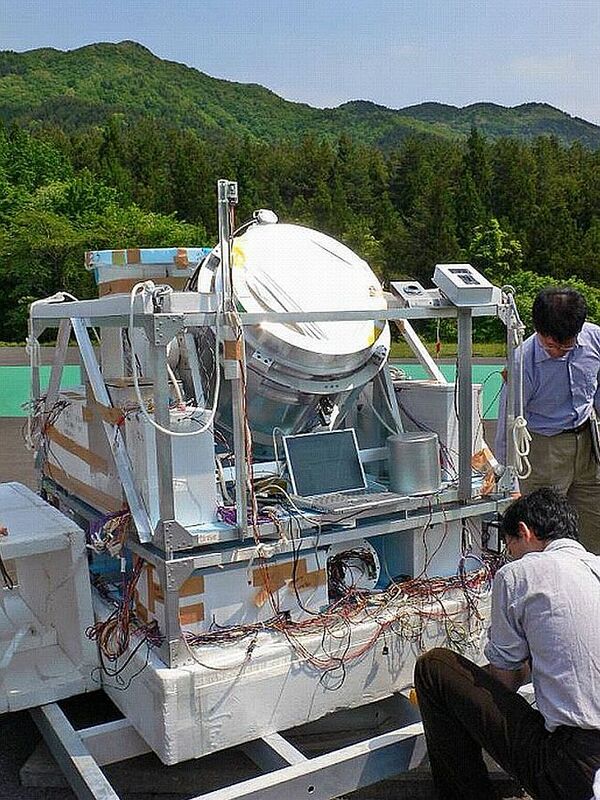 During flight, a sun sensor was used for the monitor and control of the line of the sight for the PHENEX polarimeter. The sun sensor is a pinhole camera with a two-dimensional position-sensitive photodiode. Its field of view is about 30ºx30º and it can determine the attitude of the polarimeter to an accuracy of about 1 degree. The attitude control system (ACS) has the ability to track the Crab Nebula automatically using the output signal from the sun sensor. 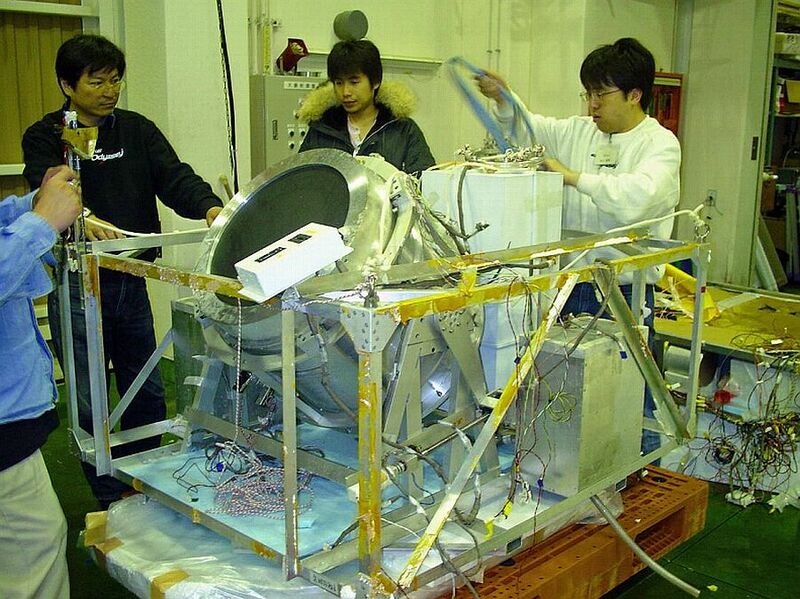 During this first test flight the instrument was flown for 6 hours at an altitude of about 38 km. The detector system operated well without any serious problem over the duration of the flight and the data was recovered safely. However, the ACS did not functioned correctly and hence the line of sight unfortunately wandered around the Crab Nebula. 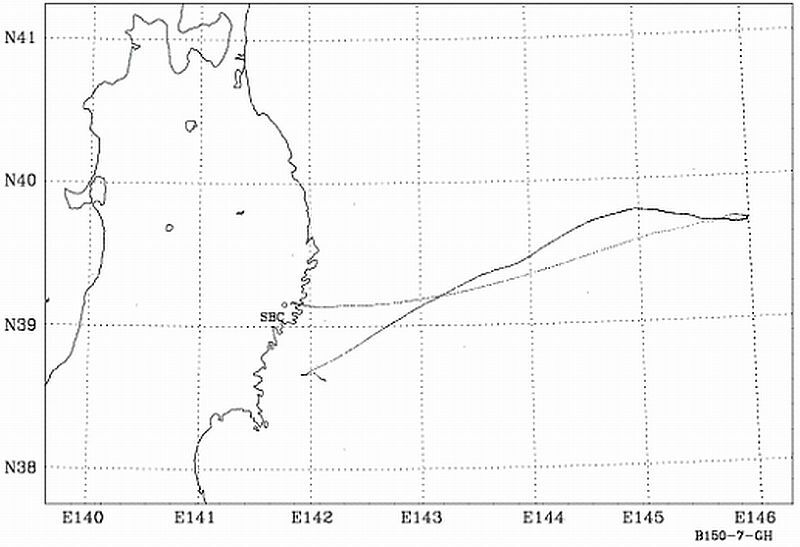 However, as the sun sensor operated well, the scientific team managed to obtain the necessary information about the pointing direction of the PHENEX polarimeter as a function of time. After all, they succeeded in observing the Crab Nebula for about one hour and also a blank region of the sky for about one hour. From the data obtained was confirmed that PHENEX detected hard X rays from the Crab Nebula but degree and the direction of the polarization was not possible to be determined with high accuracy. However, it is an important advance for polarimetry in hard X-ray region taking into account that the polarization of the Crab Nebula had not been observed in hard X-ray region. After investigation, the pointing failure was traced to an important parameter used in the computer program of the ACS which was not set to the correct value. 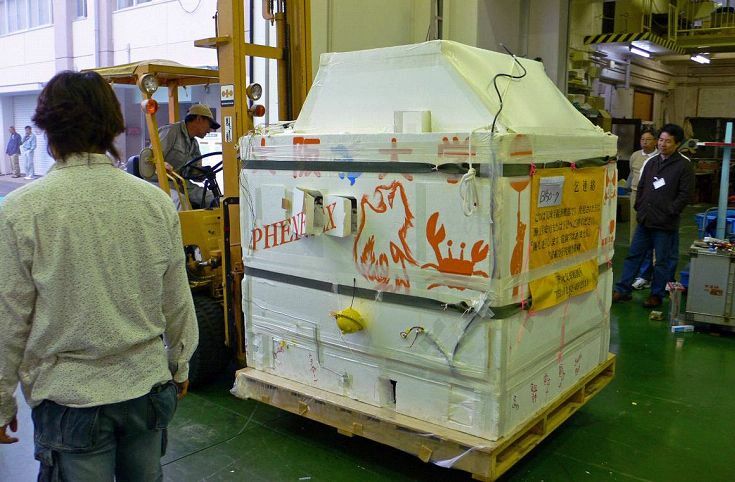 In the next flight to be carried out in 2009, PHENEX will include four more unit counters to enlarge the detection area of the polarimeter. Thus, statistical advantage for the determination of the polarization degree and direction can be obtained. Furthermore, this improvement also has another merit that signal-to-background ratio goes up and will be also improved the unit counter itself as well will be enhanced the passive shield around the units counters to reduce the background level.